This major 10 km long tarred pass lies on the R58 between Elliot and Barkly East in the high mountains of the Eastern Cape at an altitude of 2018m at the summit. The pass displays an altitude variance of 572m which converts into an average gradient of 1:17 which is moderately steep. This pass is subject to winter snow closures. 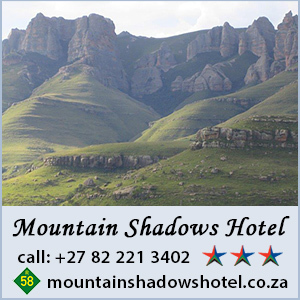 Look out for the country style hotel (Mountain Shadows) at the top of the pass where you can catch up with some of the local history and experience true country style hospitality.